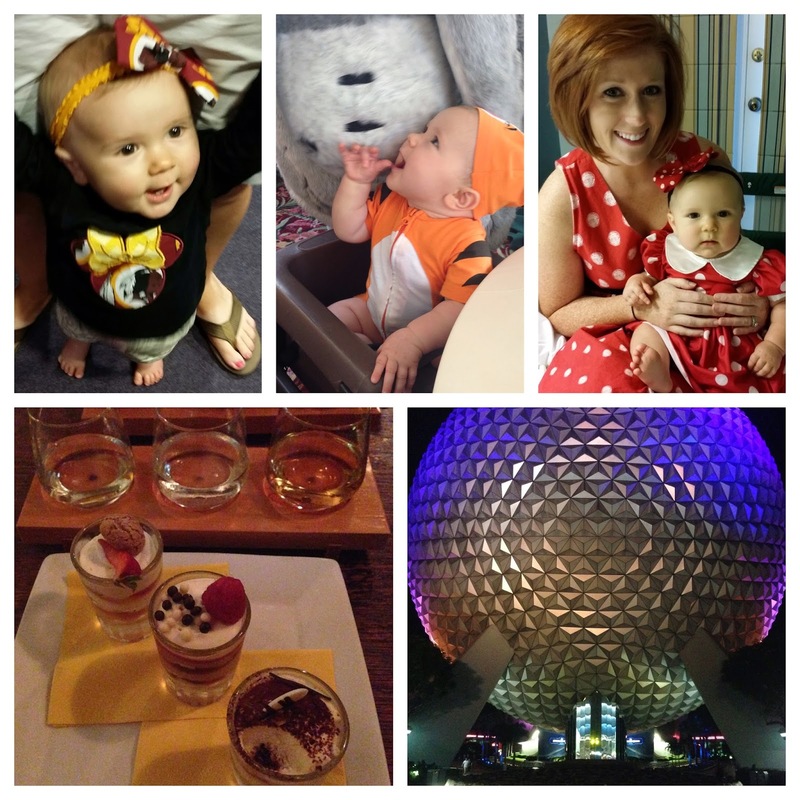 Since we were in Disney for part of last week and this week, I thought I'd share some of the highlights of our trip for this week's H54F! Even though we weren't home for the first official football Sunday of the year, Charlotte still rocked her team with a little Disney flare. So far Charlotte LOVES the Disney characters. One of the first things we did when we got to Disney was have breakfast with Pooh and friends and she loved every character! I wish I could say the same thing for her and our servers while we were there. Every male server or male in general that stopped to talk to her freaked her out so much and she would cry and scream to be held. One of the things I was looking forward to most was the Epcot After Hours Wind Down Event. It was a wine tasting and food pairing after the park closed. Next week I'll post about the whole event if you're interested. I couldn't help but get this last picture of the ball as we were leaving the park one night. We were one of the last people left so it gave me the perfect opportunity to get an unobstructed shot. All in all it was a great trip and we are already counting down the days until our December trip! Now it's time for a nice relaxing weekend. TGIF!